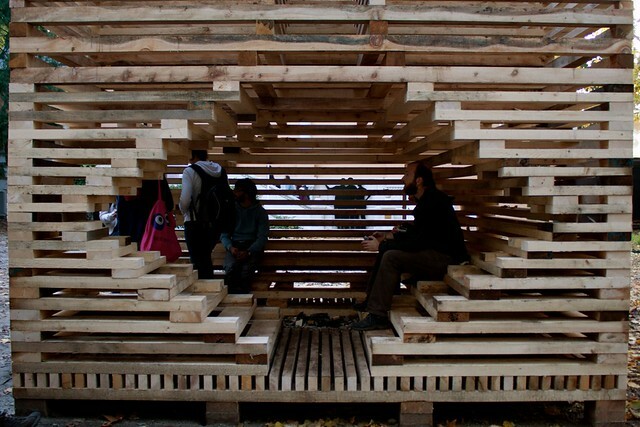 the Nordic pavilion at the Venice Biennale 26/8 - 21/11 2010. At Work With is a project focusing on architecture as practise. Initiated by Economy (Tor Lindstrand) and Testbedstudio (Anders Johansson and Erik Wingquist), it takes the form of an office environment with a residency program during the three months in the Nordic Pavilion at the Venice Biennale. At Work With is conceived as a workspace for seminars, screenings, discussions, displays, practices, projects, meetings, modelling, projections, provocations, interactions, broadcasts, dreams, cooking and whims. Constructed as a continuous staging of meetings between practitioners and visitors, it is a working office as well as a social meeting point that emphasizes exchange and conversations about architecture. The project was commissioned by the Swedish Museum of Architecture. At Work With. Powered by Blogger.